This article was included in the "Sheridan Celebrates" booklet from September 25, 1999. Each year a booklet is published containing information about the City of Sheridan, the activities and sponsors for the day, and history. With the generous service given by Dorothy Carter to the community it was most appropriate this memorial was included. 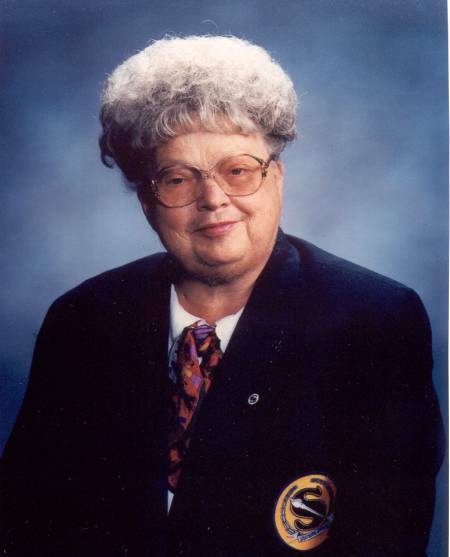 Dorothy Mae "Clark" attended Wyatt Elementary, Cole Middle School, and Manual High School. She met her husband, Bill Carter, two years before she graduated from Manual in 1952. About a year after they were married, their eldest son Ronald was born, followed by daughter Leslie another year later, and by Brenda and Tom in successive years. She became a member of the Petersburg Parent group in 1966, convinced that, although Sheridan Schools, where all her children attended, was not rich in funding, it should never the less meet the needs of it's student population. The rest of her life was spent working to make the school system prosperous and successful for her children, the children of the neighborhoods, the teachers and administration. She believed in fighting for her beliefs. Dorothy support high school football and soccer. For many years she and her husband, Bill, were a familiar sight at home and away games. She supported Riverside Soccer, a new and growing organization which, in many people's opinion, is the premier soccer organization in the state. Believing that soccer should be a high school sport, she helped organize Tri County Field Days. Her tenacity, combined with pressure from other local parents, paid off and Sheridan High School recognized and now supports soccer in the high school. She served on the Accountability Committee, finally running for School Board in 1973. She lost the first election, only to come back four years later to be elected on May 3, 1977. She served 23 continuous years since then, working always for excellence in education. Not all of her battles were fought in meetings. She and the rest of the Board were involved in a food fight at a restaurant fifteen years into her service, which resulted in them being asked to leave. Her loyalty to education was not limited to her community. She served for seven years on the State Advisory Committee for Exceptional Children, including a term as that committee's chair. She believed her greatest accomplishments was helping to improve Special Education and reading in the Sheridan Schools. The week before her death, Dorothy received the Sheridan retirement clock. Her eyes sparkled, she smiled and said, "Now everything is perfect, I can leave." On the night before Dorothy passed away, she sat up in bed, looked about to sum things up and said simply, "Class was over." Dorothy served education because she believed in kindness and the honor and dignity of equal opportunity for all children. She leaves a legacy that will continue to protect and educate students of all walks of life. Thank you, Dorothy Carter for everything you have done for Sheridan Schools and the 23 years of students you watched over and worked for. Note: A separate article on the Carter family is included on this website. The article can be reached by clicking the following link: Carter Family.